Ron was a Partner of Condy & Lofthouse from 1988 to1997 and became a majority shareholder of CLA in 1997. Post graduate experience in the public and private sectors, with architectural practices including T P Bennett and Building Design Partnership. 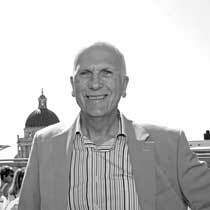 Ron has over 30 years experience of designing buildings both in the UK and abroad. For 25 years Ron has led Healthcare design at CLA. He has been responsible for a multitude of care developments including Care Homes, Specialist Care Units, Care Villages, Extra Care Accommodation and Mental Health Projects for private companies, charities and the NHS. Ron was an External Examiner for the RIBA at Manchester and Liverpool Universities; a past member of the RIBA Merseyside Branch Committee; Expert Witness and a Property Adviser to various charities. He is also engaged in microenterprise projects in developing countries.